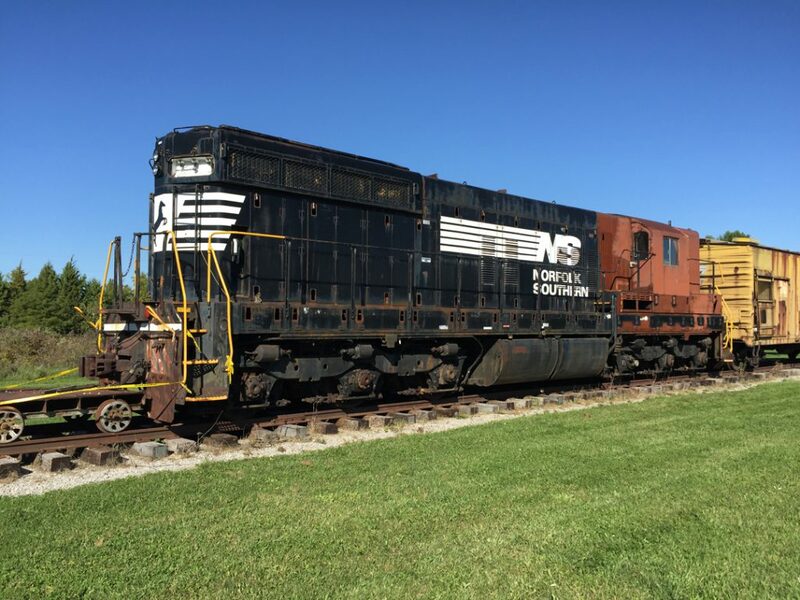 The Fort Wayne Railroad Historical Society, Inc announces Project 358, an effort to restore our historic SD9 class diesel locomotive. 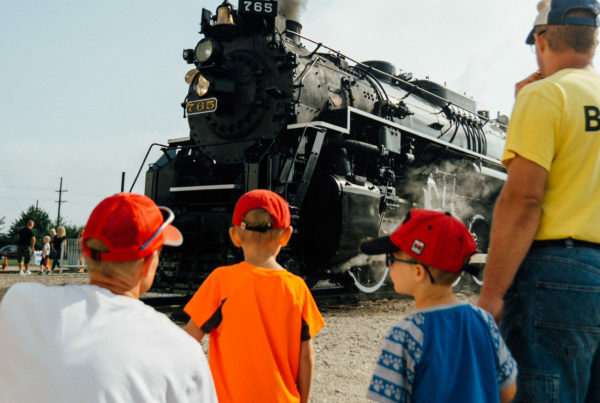 The project will restore the locomotive’s cosmetic appearance as it ran on the Nickel Plate Road and eventually return it to operational condition. We will be holding a volunteer work session on Saturday November 5th from approximately 9:30 am to 3:00 pm, with a break for lunch. November 5th is also the date of our 44th Annual Dinner, which will be held later that evening. 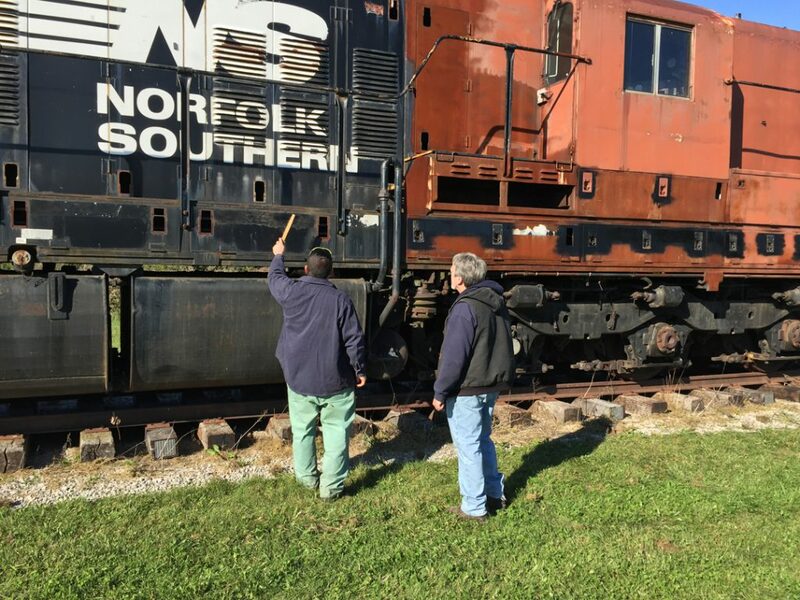 Project Manager Chris Lantz will be leading the team to help stabilize the locomotive and prepare it for cosmetic restoration and eventual mechanical operation. This will be the first of several work sessions planned. All volunteers must be current members of the FWRHS. Please contact Chris at with any questions and to confirm your attendance. The scope of work will include removing surface rust on the car body doors, cleaning, painting and installing door latches. This is a great opportunity to visit the shop, meet new members and help the society preserve equipment significant to Northeast Indiana. This black and white photo shows no. 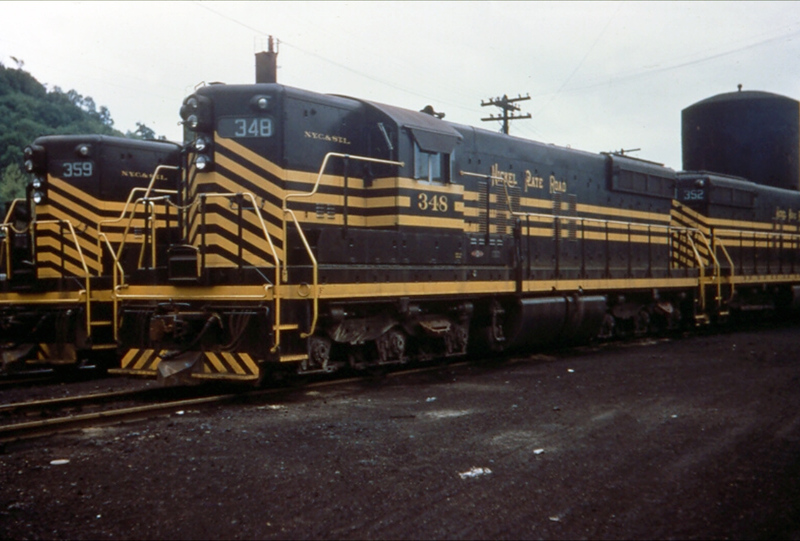 358 in a simplified paint scheme before the merger with the Wabash in the early 1960s. Built in 1957 for the Nickel Plate Road by Electro-Motive, no. 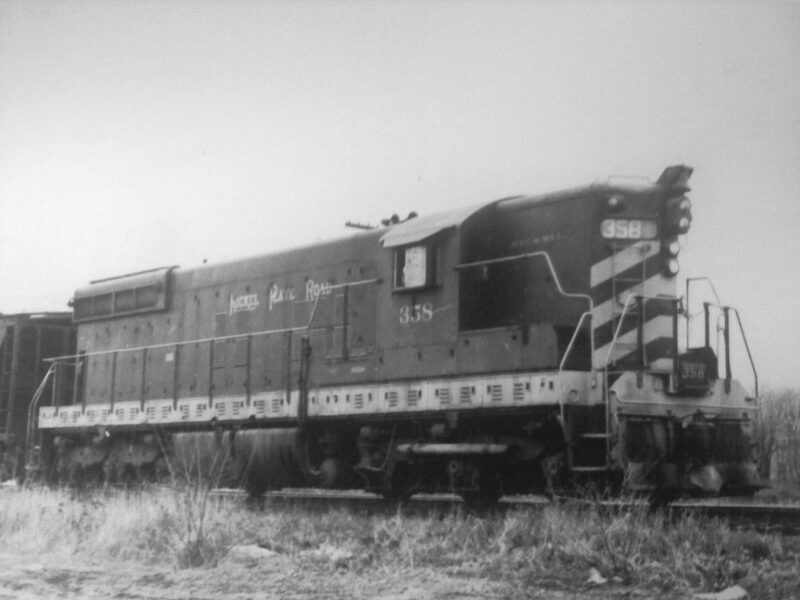 358 was constructed to replace the Berkshires and other steam power for the Nickel Plate Road. 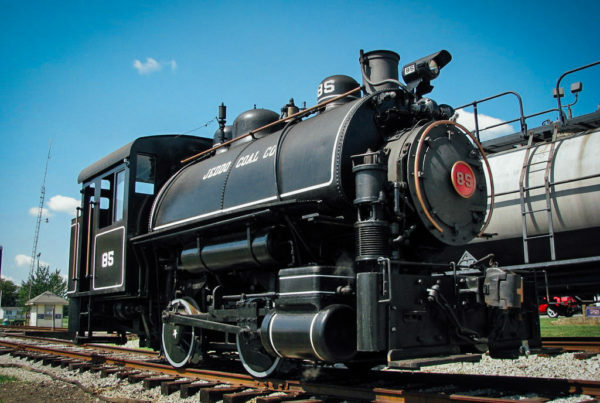 With 16 cylinders and six axles, it was originally assigned to the W&LE district hauling coal, the engines were eventually found in all kinds of service. By the 1980’s the engines were used in yard and local trains around Bellevue, Ohio. It operated for the railroad until the early 2000s and adapted for remote control use and later placed in storage. In 2010, it was donated to the railroad historical society. 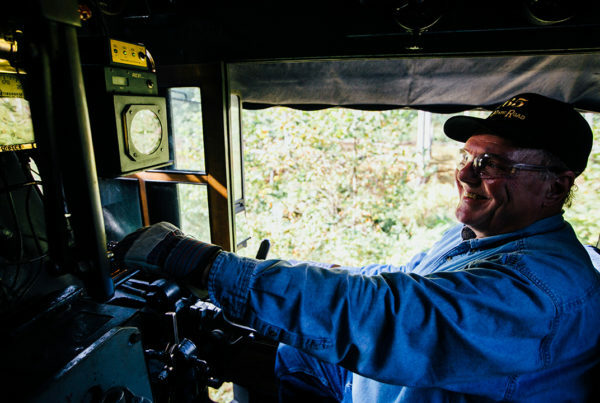 The locomotive requires about $100,000 worth of mechanical work and replacement parts.